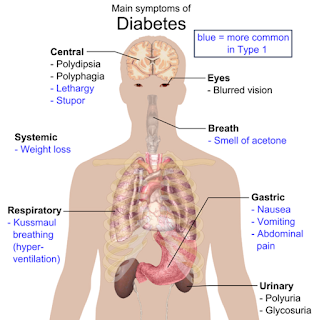 Diabetes mellitus type 1 (also known as type 1 diabetes and T1DM) is a form of diabetes resulting from an autoimmune response that destroys our body's insulin-producing beta cells, found in the pancreas. In order to survive, patients with T1DM have to take insulin injections on a daily basis. Today, Habib Zaghouani, a researcher at the University of Missouri, announced that he and his team have discovered that the aforementioned immuneresponse causes more damage than previously thought, adding that their research has the potential to lead to a permanent cure for T1DM. The researchers found that type 1 diabetes, not only destroys the pancreatic beta cells but also the blood vessels which support them. "When we realised how important the blood vessels were to insulin production, we developed a cure that combines a drug we created with adult stem cells from bone marrow. The drug stops the immune system attack, and the stem cells generate new blood vessels that help insulin-producing cells to multiply and thrive." said Zaghouani. For the past decade, Zaghouani and his colleagues have been working on type 1 diabetes and other autoimmune diseases. In previous studies, Zaghouani's team developed a drug against T1DM called Ig-GAD2. Although, Ig-GAD2 did stop the immune system from attacking and destroying the beta cells, the remaining beta cells were too few beta to reverse the disease. In this study, Zaghouani used the same drug and combined it with injections containing adult stem cells harvested from bone marrow. The stem cells were injected into the pancreas of a mouse model for T1DM, where they would hopefully differentiate into beta cells. Zaghouani says that the combined treatment was successful, but not for the reasons they were expecting. "We thought the bone marrow cells would evolve directly into beta cells. Instead, the bone marrow cells led to growth of new blood vessels, and it was the blood vessels that facilitated reproduction of new beta cells. In other words, we discovered that to cure type 1 diabetes, we need to repair the blood vessels that allow the subject's beta cells to grow and distribute insulin throughout the body." said Zaghouani. Now, Zaghouani is trying to patent his technique and hopes his findings on mice could be translated into a cure for human patients with type 1 diabetes and other other autoimmune diseases. .
"We are very excited. Our discovery about the importance of restoring blood vessels has the potential to be applied not only to type 1 diabetes but also a number of other autoimmune diseases." said Zaghouani.